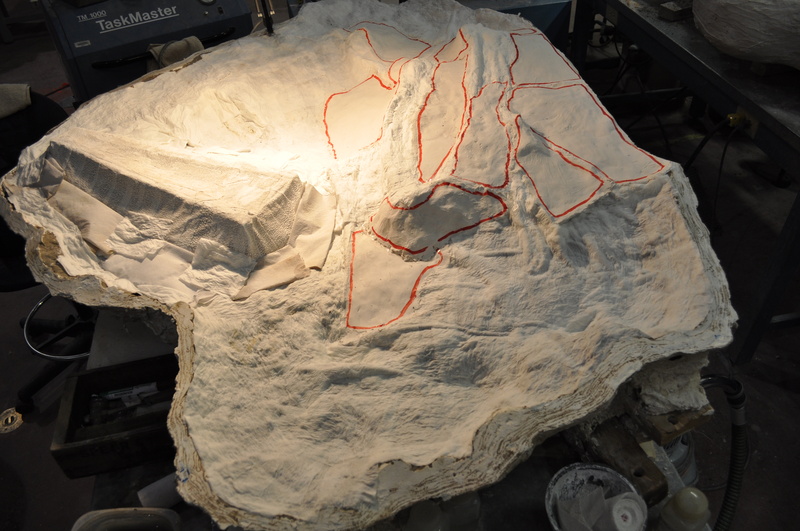 All of the exposed bone and rock was then covered up with wet tissue paper. The low spots on the body that were infilled with plaster earlier were in need of a separating layer too – I again used a cut up plastic garbage bag. Then the main support jacket was ready to be made. 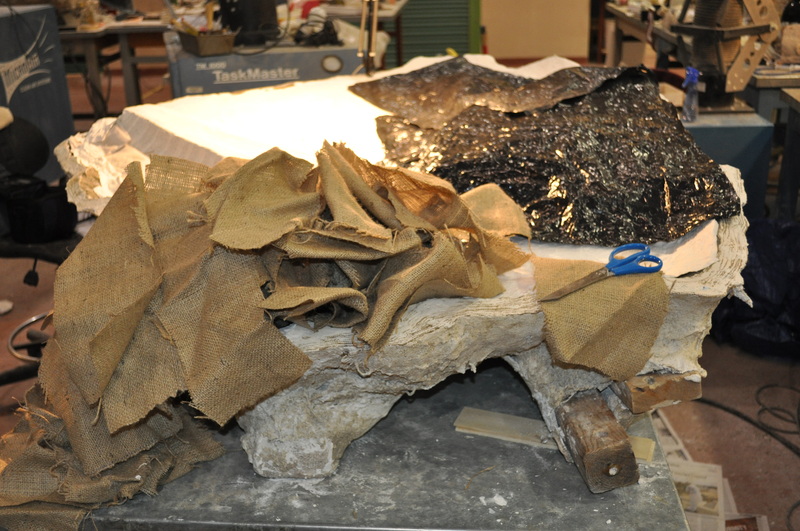 A bolt of dry burlap was cut up into various-sized pieces first- enough (and more) for the job that needed to get done next. 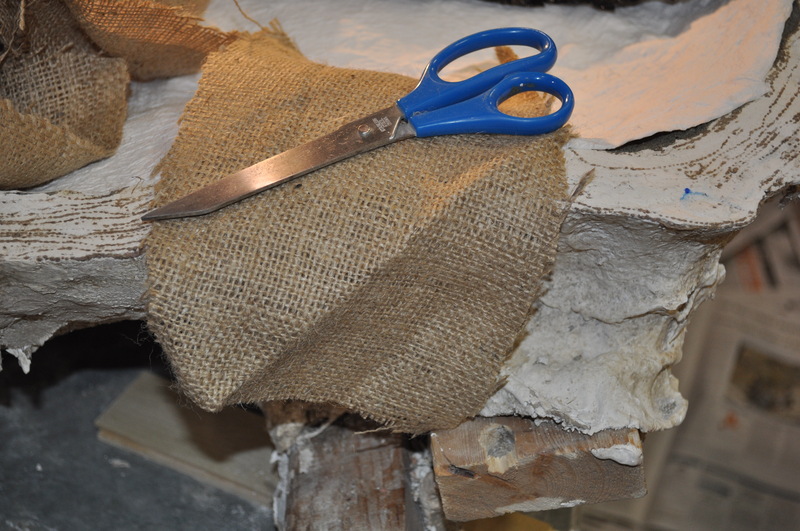 One always cuts more than needed- you don’t want to run out of cut burlap near the end of a project! The next person doing a plaster/burlap job can always use your cut up pieces. 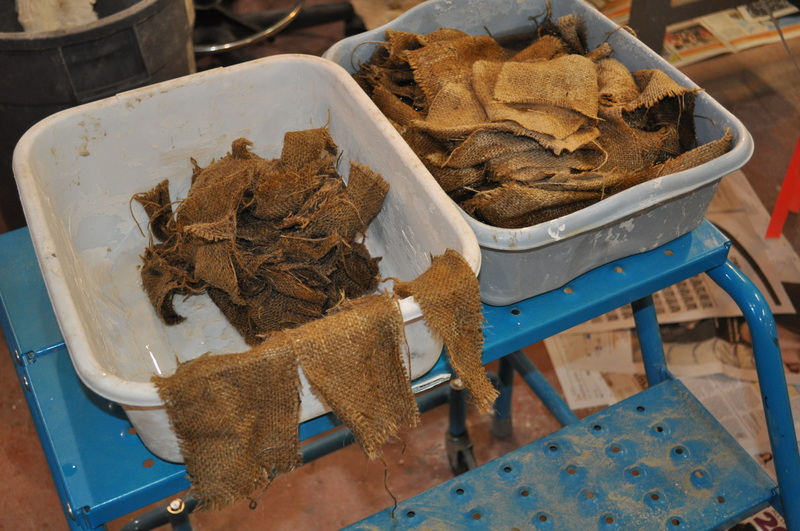 All the cut burlap pieces were put into water and allowed to soak for 15-20 minutes then wrung out. Now we are ready for the plastering phase.